This plant has dark green, long and thin leaves with beautiful little buds in a variety of shades including white, pink and purple. 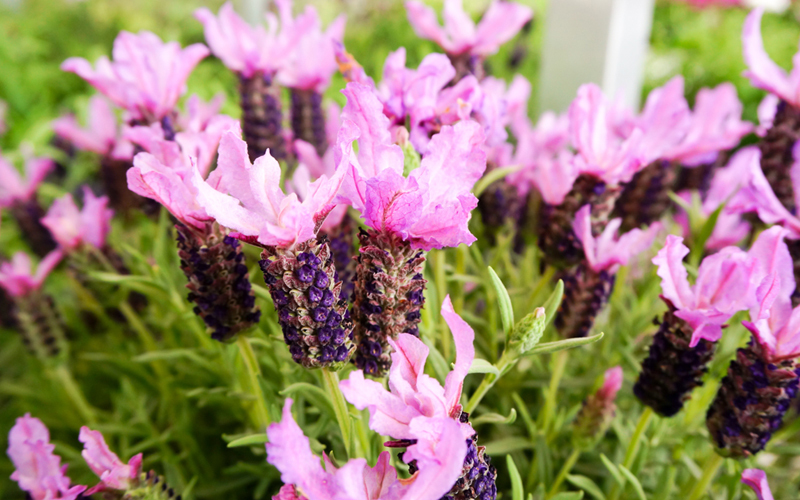 Grown as an annual in most zones but perennial in zones 8-9, this is a heat and drought tolerant flower that looks great in pots and window boxes. 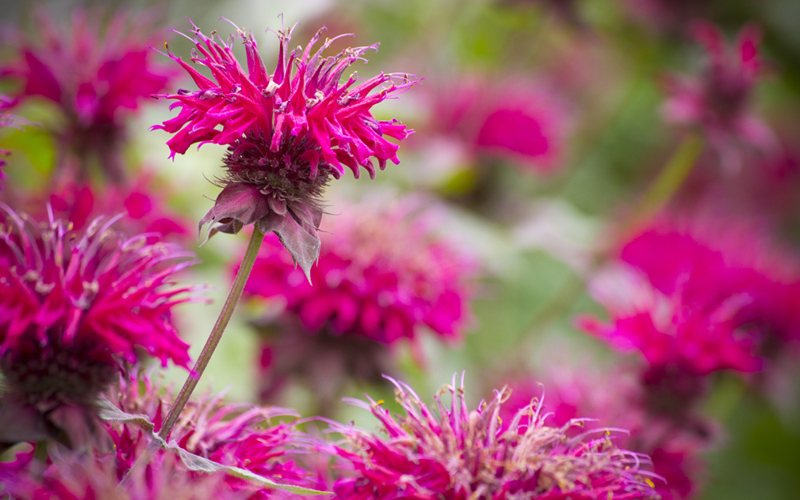 Perhaps a bit more purple than pink, bee balm is so beautiful and unique that it warrants inclusion here. The fragrant leaves can be made into tea, the gorgeous flowers attract butterflies and hummingbirds, and the plant grows so well that it needs to be divided every two or three years. Enjoy these sun loving plants from zones 4-9. This powerhouse of color is usually two tone, often with a pinkish-purple center and pedals with orange tips on each velvet pedal. 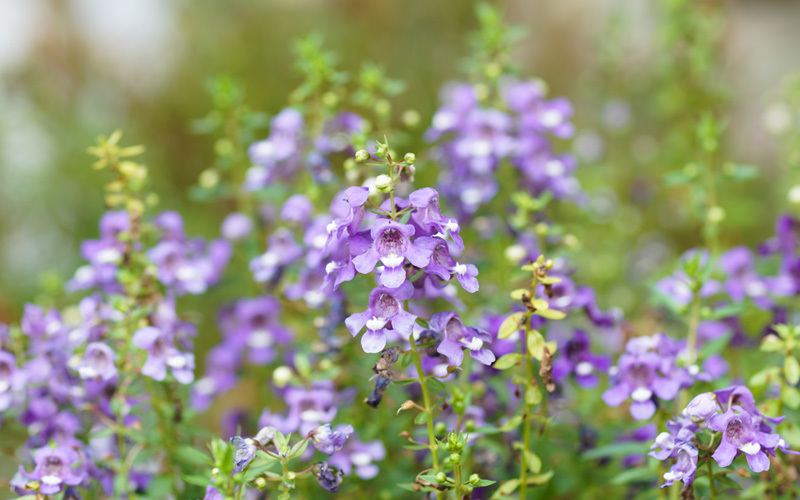 Perfect to attract butterflies or for a cutting garden, these plants love the sun and grow in mounds up to two feet tall. Plant in zones 2-10. 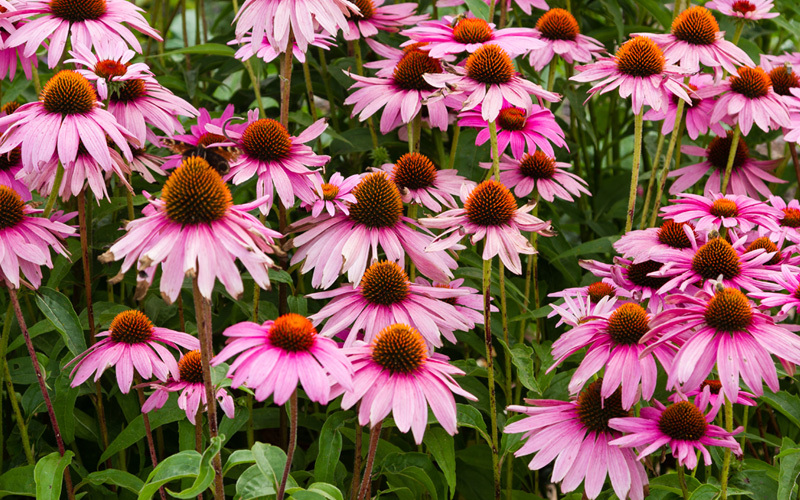 Growing in a variety of shades from white through pink and purple, coneflower has the look of a daisy but with a vibrant orange, bulbous center that adds an unusual, wildflower aspect to their appearance. 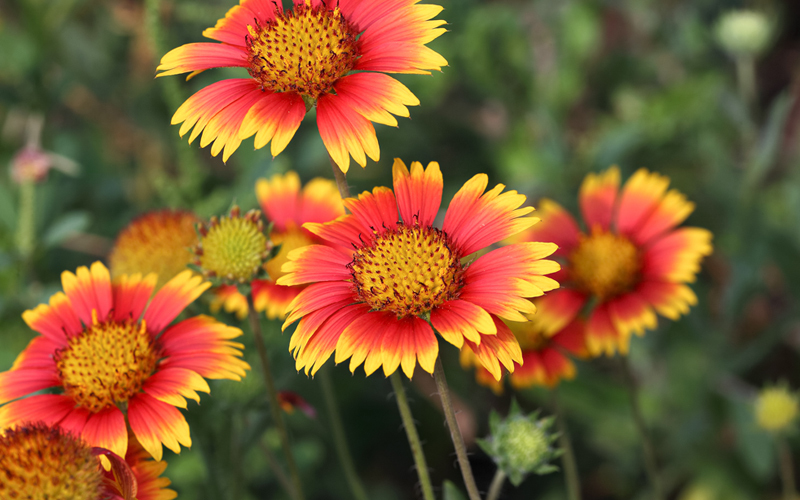 Drought tolerant and sun loving, these summer through fall bloomers grow up to 36 inches tall in zones 3-9. This delicate peddled flower grows just four to six inches tall but can spread as far as 24 inches, making it a wonderful ground cover. Flower varieties vary from white to pink, with the candy stripe variety perhaps the most stunning. Grown best in zones 3-9. The color in this groundcover flower literally seems to burst from the center, with a deep pink center radiating out to light pink tips. 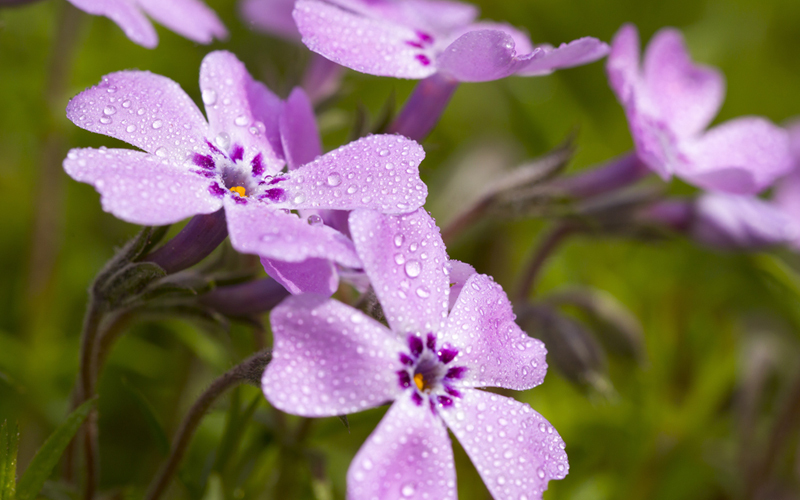 Growing just three inches tall, these plants can spread up to 24 inches forming a dense mat of shiny green leaves. 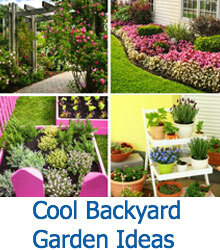 Grow best in partial shade, zones 4-8. Available in a staggering assortment of colors and flower size, these beautiful plants have a tropical look though they can grow in zones 3-9. 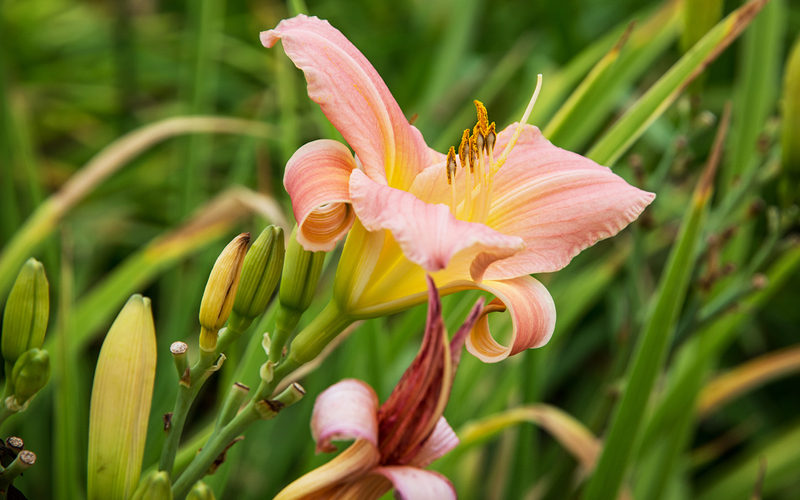 Generally blooming in summer and fall, daylily loves sun and different varieties can grow anywhere from 12 to 36 inches tall. 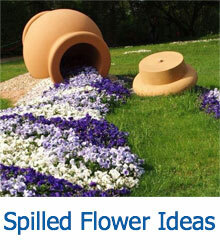 These beautiful flowers can be grown anywhere, but look particularly nice mixed in with dark green shrubbery. 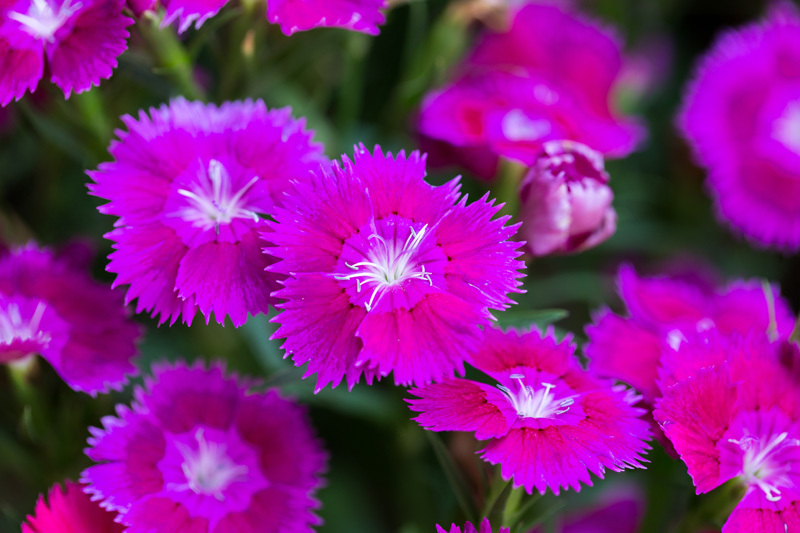 This beautiful, plant comes in variety of colors, including one with deep pink flowers. It grows in zones all the way from 3 to 9. A light loving plant that needs only weekly watering and prefers a more alkaline soil, they grow from four to ten inches tall. This dwarf plant can be planted in groups, but also makes a great window box plant. 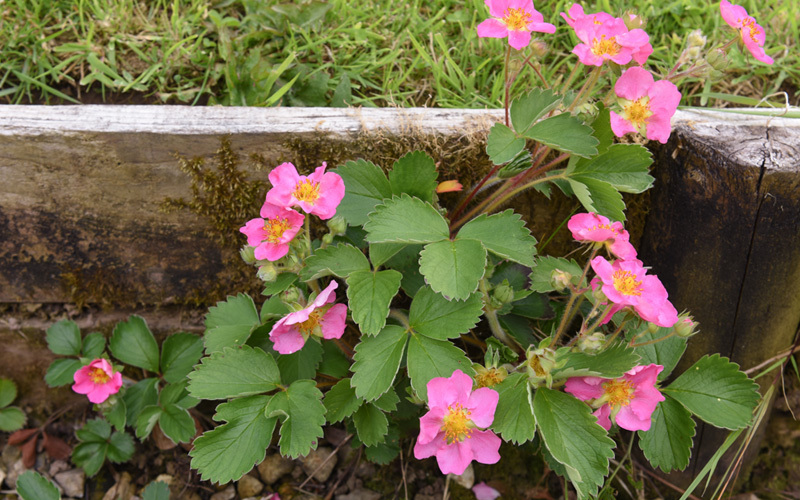 This zone 2-9 groundcover has dark green leaves that look like strawberry foliage but instead of fruit they grow a little burst of pink blossom. Growing just six inches tall but spreading up to a yard, these delicate little flowers bloom a long time, from spring through fall. A classic for good reason, the petunia comes in a variety of pink and purple shades and is loved by butterflies and hummingbirds alike. They need daily water and are grown as an annual in most areas. 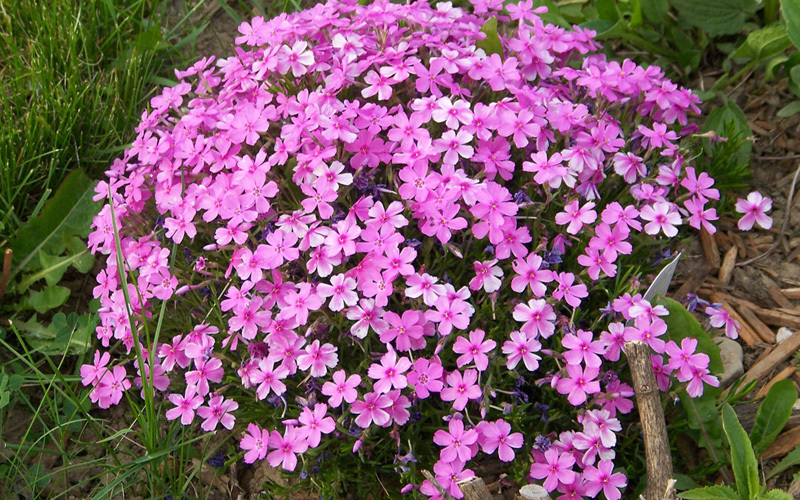 Growing up to 18 inches tall, phlox comes in many different varieties, among them a number of shades of pink and white with pink. 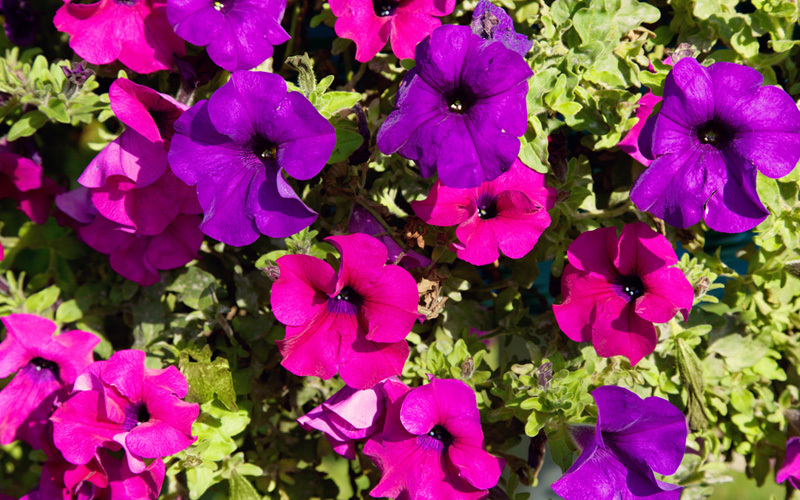 These brilliantly colored flowers attract bees, butterflies and hummingbirds and are perfect for gardens or container planting. Sun loving in zones 2-9. 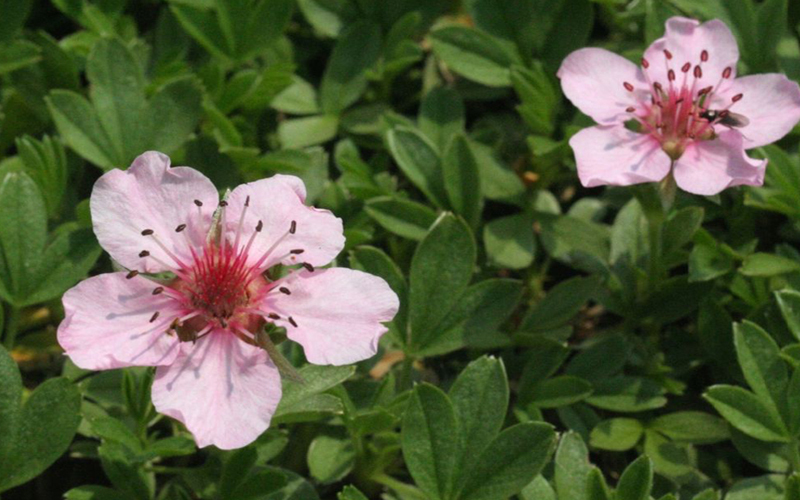 Dark green, thin leaves give way to a mix of small pink and purple blooms. Hardy in zones 3-9, this spring blooming plant grows up to 30 inches tall and stays evergreen in warmer climates. This beautiful, unusual plant has a dark purple ruffled neck with bright pink, delicate pedals emerging from it to reach for the sky. Growing up to 24 inches, these flowers attractive butterflies and bees as they bloom through summer and fall. Plant outside only in zones 8 and 9. 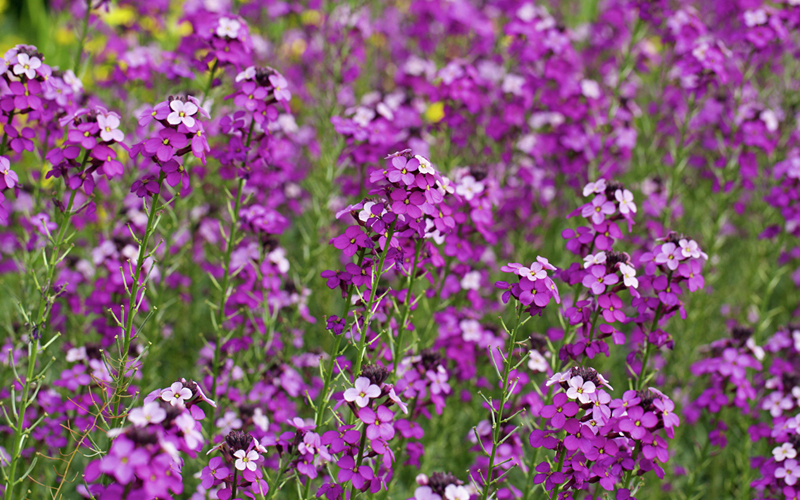 Thriving in zones 5-7, these spring and summer blooming plants have a clean look, with small buds bursting from the end of tall, dark green stems. Growing up to 15 inches, they enjoy plenty of sun and are tolerant of dry soil, requiring only weekly watering if there is no rain. 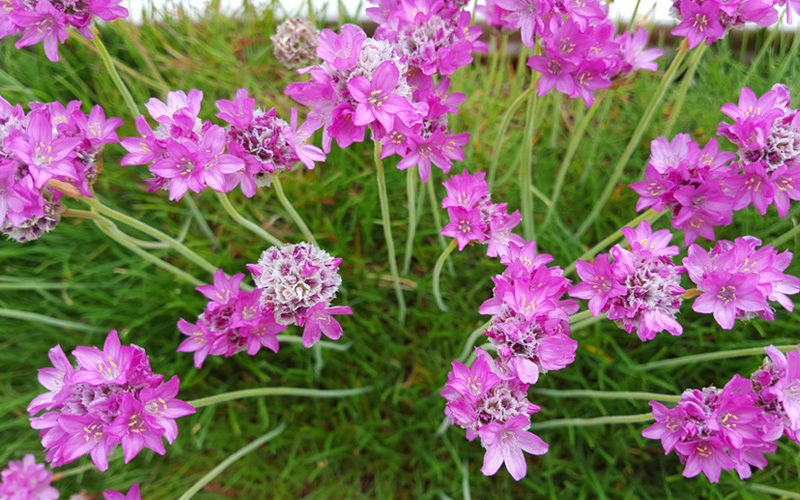 Thrift readily adapt to poor, dry soil, growing into ideal flowers to attract butterflies or to cut fresh flowers for your home. 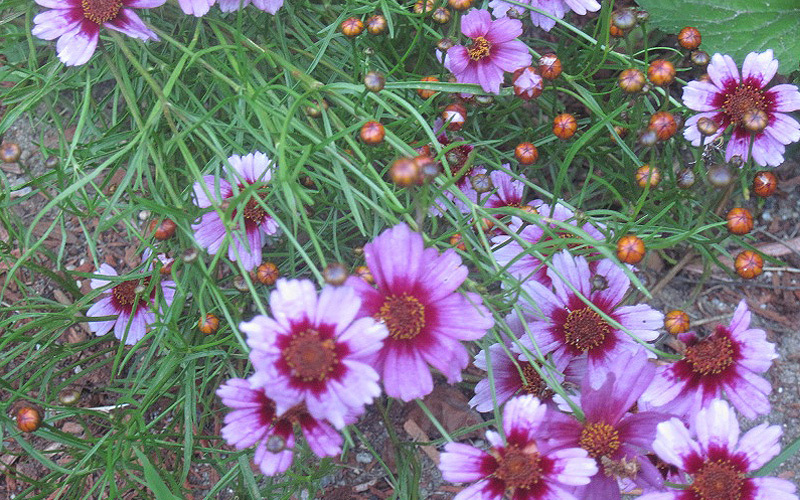 Available in a mix of colors, including pink and purple, tickseed has small flowers that look similar to daisies. 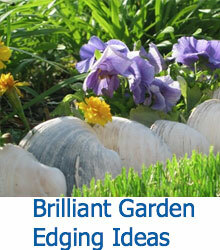 Perfect for adding color as well as attracting butterflies and songbirds, these flowers bring texture to your garden with gently indented lines that radiate out from their centers. 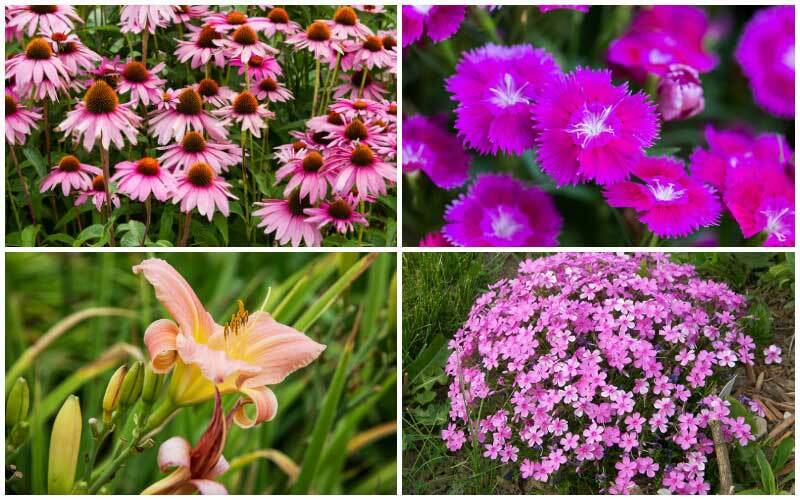 These flowers grow from 8 to 24 inches tall, blooming in summer through fall, in zones 4-9.